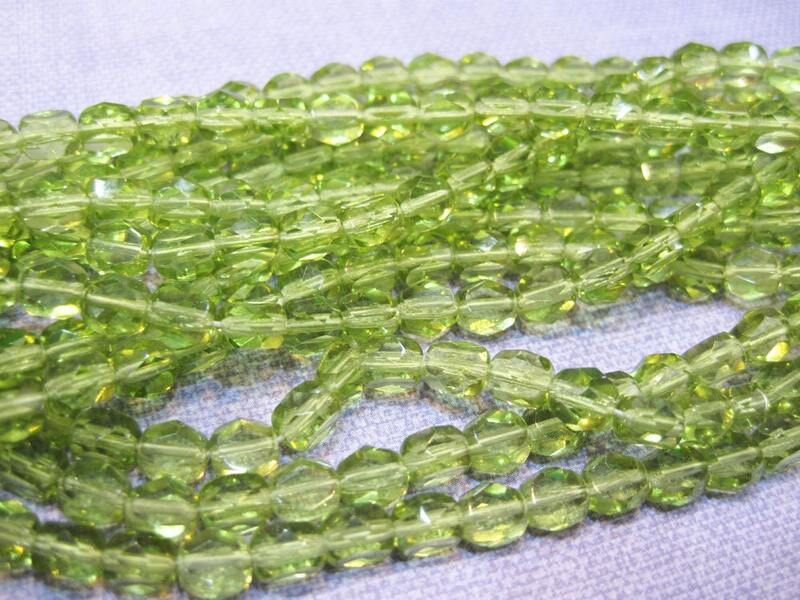 25 transparent peridot green faceted flat sided Czech glass crystal beads measuring 6mm! These have two larger flat sides - similar to fire polished crystals. These are quite different and a lovely green color! Add some sparkle to your jewelry creations!